Do you ever wish to travel with your family or a large group of friends to Winter Park? This very popular city is where you can find a lot of great destinations and fantastic things to do no matter what day of the year it is! But it is hard to travel with the family along or with a large group of people which keeps you from enjoying your precious vacation! Which is why a lot of families choose party bus Winter Park! Reach our customer support team at 407-374-2370. What’s great about this arrangement is that you will have a lot of room to spare even if you travel. You also get to enjoy amazing features such as audio and video amenities, very comfortable seats and so much more. Party bus Winter Park FL will take you anywhere in style. If you have less than 20 people in your party, you might want to view our Winter Park limousines. Your booking Party Bus Winter Park also includes the service of a professional driver and tour guide. You heard that right, you can ask for recommendations on anything in the Winter Park Florida area. Make your reservation for a party bus today, call 407-374-2370. Book your party bus Winter Park FL by calling or sending the company an email. You may need to give out a few pieces of information especially your security details but rest assured that this are not sold or shared to other companies at all. 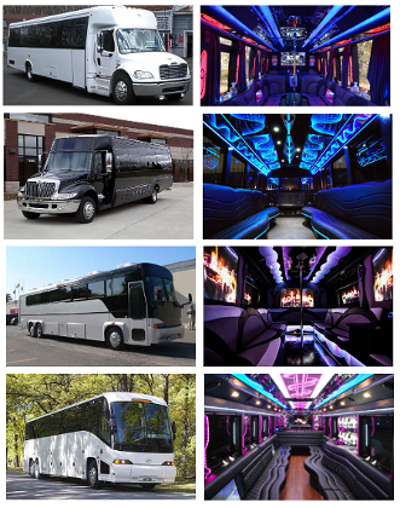 And you need to call or book a party bus rental Winter Park FL as early as possible. Although this kind of arrangement may not be too popular it is possible that this could be unavailable especially during the holidays or during peak season. We have the be party buses in Central Florida. Don’t forget to add the following destinations to your itinerary as you rent a Winter Park party bus. Mead Garden – take your family for a relaxing afternoon simply admiring nature at Mead Park. City Foodie Tours – sample all the best dishes and delectable cuisines in Winter Park and nearby cities with this tour. East Orange Shooting Sports – this is a great target shooting range where you can practice your aim and even learn how to. Take your family or your friends here for wholesome fun. Escape Games – have fun escaping for dear life at it’s a Trap in Winter Park. This is a game/activity that everyone will surely love. You may ask your party bus Winter Park FL to pick you up from the Orlando Executive Airport to take you to different destinations or you may prefer to take you and your family or friends to your hotel or accommodation. And of course you can hire your party bus Winter Park FL to take you to different nearby cities such as Lake May, Leesburg, Clermont, Lakeland, Winter Haven, Sanford, Oviedo, and Apopka. You also can use Party Bus Orlando or party bus Altamonte Springs.